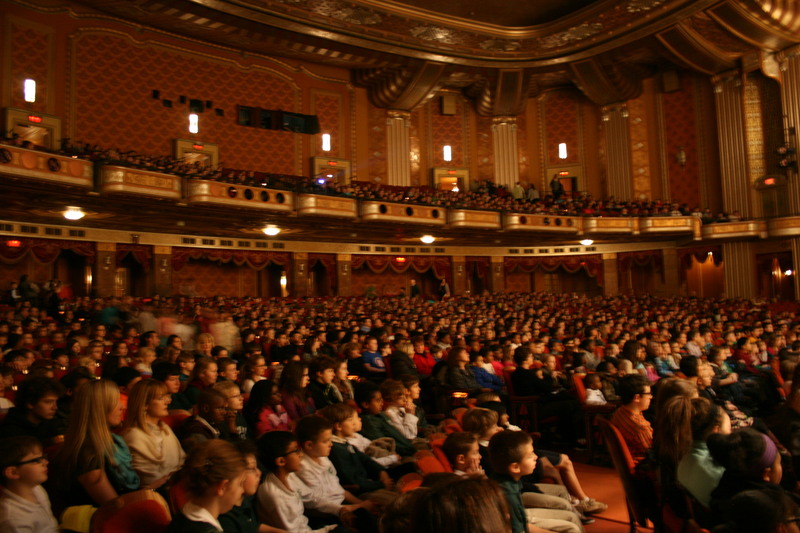 It was nearly a full house at the Warner Theatre this morning as thousands of students from Erie and Crawford counties enjoyed a performance by the Erie Philharmonic. This year’s theme is an introduction to the orchestra with Benjamin Britten’s Young Person’s Guide to the Orchestra. Deven Shah, 13, will perform a piano concerto. 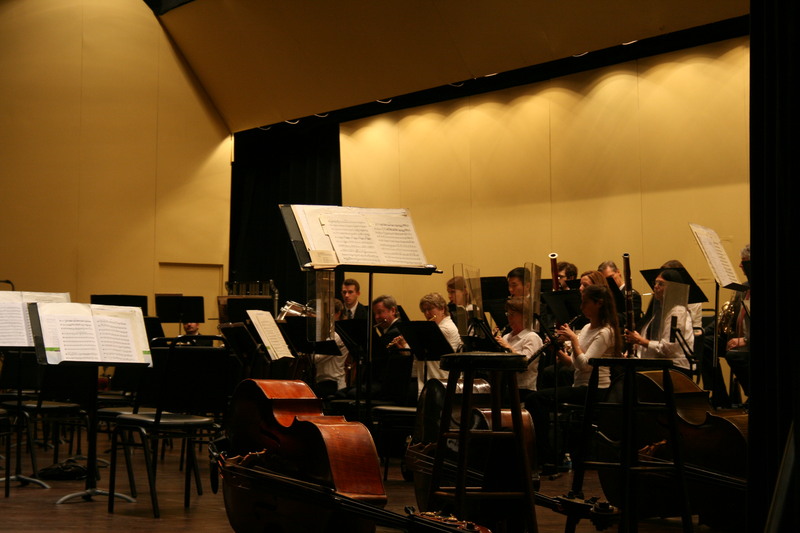 Shah plays viola with the Erie Jr. Philharmonic. Two groups shuffled into the Warner; one group of around 2,500 students in grades two through eight and another around 1,200 students. The field trip performance to the Phil concert has been ongoing for more than 20 years. 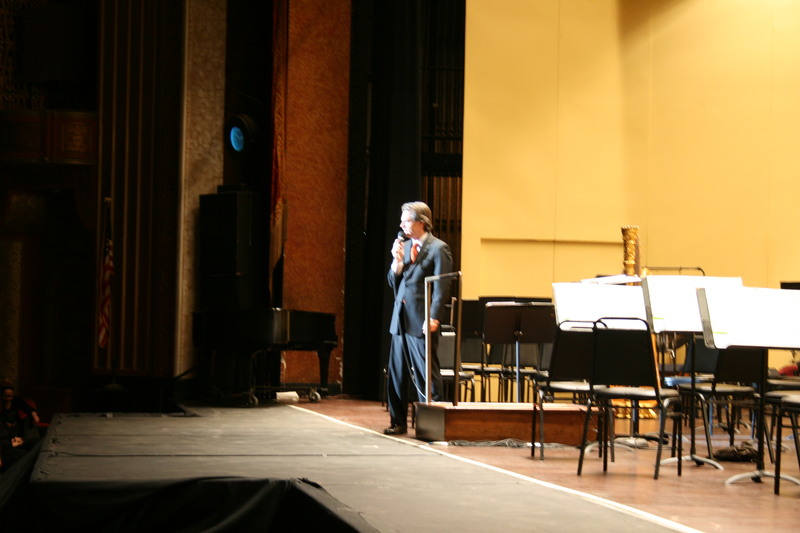 Conductor Daniel Myer explains the instruments and music groups to the students, and then puts the orchestra back together for a breathtaking performance. It’s part of the organization’s education services provided to the community. 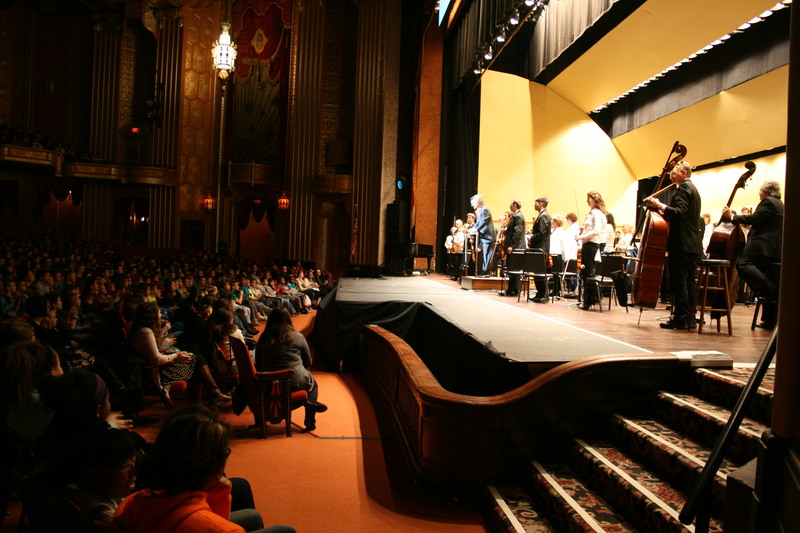 For some students, it’s the only opportunity they’ll have to see an orchestra like the Phil perform right before their eyes. It’s a tradition that students look forward to year after year.